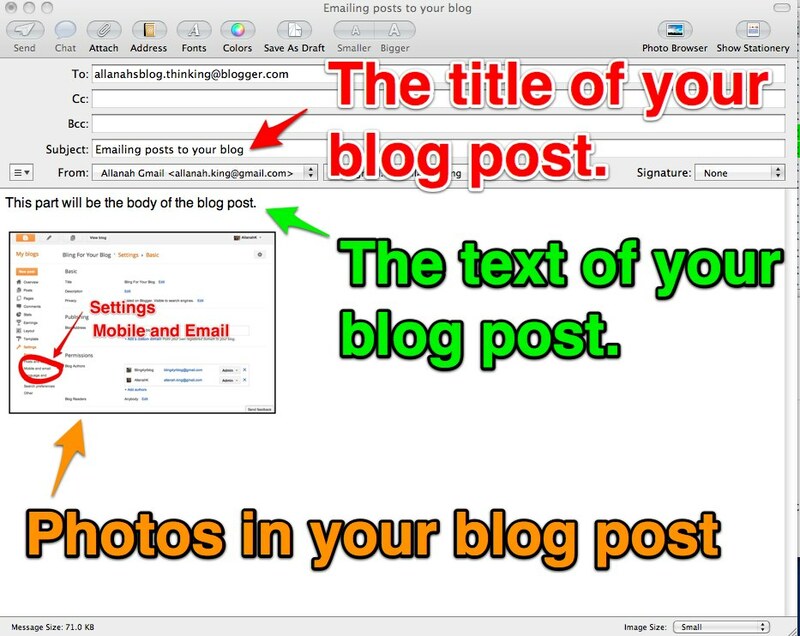 Once you have set up your blog it is nice and easy to make a post just by sending an email. This feature wold be great if you have students overseas who want to share their travels on the blog- all the would need to be able to do is to send an email. Also useful if you want people to be able to make posts but you don't want to the give them the password or let them change the sidebar or other setting. 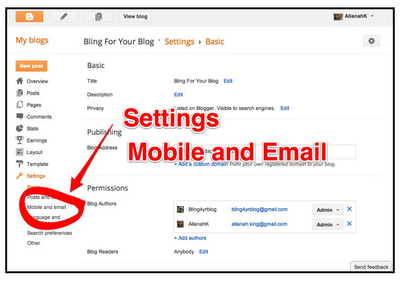 To enable blogging via email go to SETTINGS, then look for MOBILE AND EMAIL. Click on the 'Publish Email Immediately' if you want to or you can make it go to draft but if it did that you might not notice it was there. 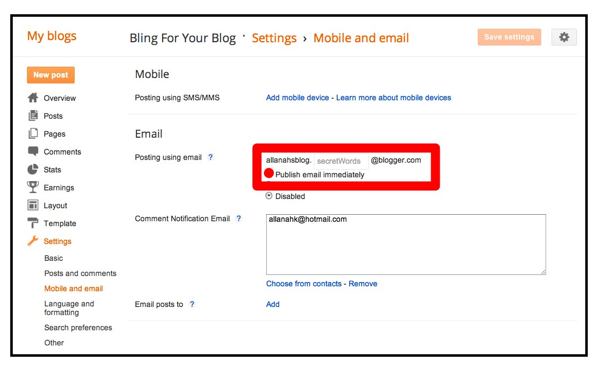 If you send it straight to publish make sure you get an email letting you know it's there so you can check it. 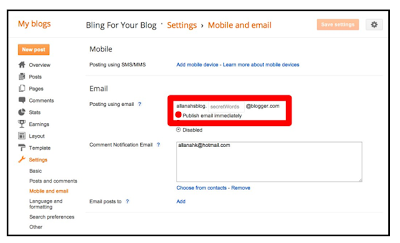 To make your post simply send an email to the blog. 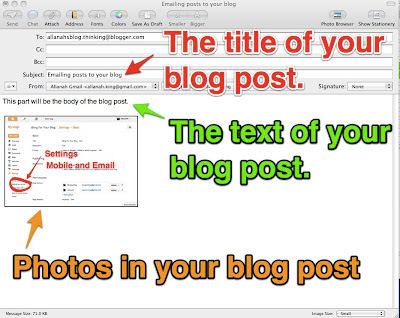 And very cleverly instead of just emailing text and photos you can email a short video as an attachment and that works as well. Here is a video from Barbara Reid showing you how to do it. Thanks for tweeting about the Best of 2012 Blog collection https://sites.google.com/site/linklearningexemplars/best-blog-posts-of-2012. It started a chain reaction which has resulted in a new class blog, my first ever blog comment (this one) and fevered instruction following on this blog. Came across this blog through school networks - it's great. I've posted a link to it on our Gisborne Primary Schools ICT page on FB (https://www.facebook.com/groups/gisprimaryict/)to share it with our group. Allanah you are a rock star!!! Our Kōtuku class is 1:1 and we're getting kids' blogs up and running. This blog of yours is going to be invaluable as I have linked it in for the kids - they're going to give it a crack tomorrow. Thanks heaps.